Vietnam’s GDP grew 6.79 percent in the first quarter of this year, slower than 7.38 percent in same period last year. The manufacturing and construction sectors 8.63 percent, contributing 51.2 percent to the GDP, according to figures published by the General Statistics Office (GSO) on Friday. The corresponding figures for the services sector and the agriculture were 6.5 percent and 43.9 percent of the GDP; and 2.68 percent and 4.9 percent. The main growth driver of the economy in the first quarter was processing and manufacturing industry with an increase of 12.35 percent. The construction industry also maintained a 6.68 percent growth. 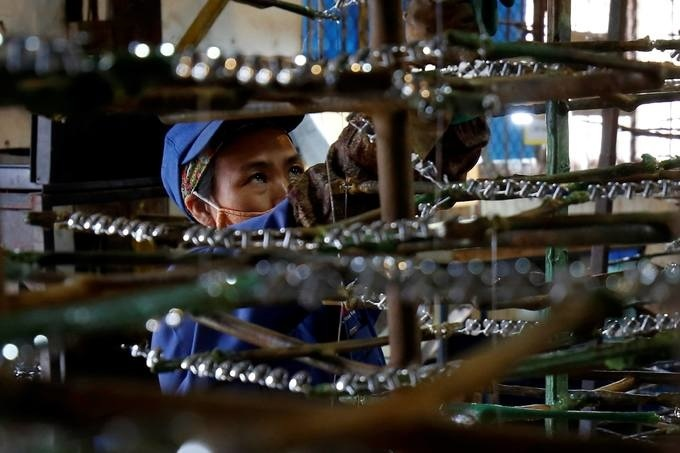 Vietnam’s exports in the first quarter rose 4.7 percent from a year earlier to $58.51 billion, compared with an expansion of 22 percent in the same period last year. In the first three months of the year, the consumer price index (CPI) increased by 2.63 percent compared to the same period in 2018 - the lowest increase in the first quarter in the last three years. The World Bank forecast that Vietnam’s GDP is likely to drop to 6.6 percent in 2019 and 6.5 percent in 2020. Meanwhile, the Asian Development Bank (ADB) estimates the country’s GDP for 2019 at 6.8 percent. Vietnam’s GDP growth of 7.08 percent in 2018 was the highest in a decade, according to the General Statistics Office. In the first quarter, FDI pledges for new projects, increased capital and stake acquisitions surged by 86.6 percent year-on-year to $10.8 billion. This was the highest in the last three years. Estimated FDI disbursement for the first quarter was $4.12 billion, up 6.2 percent year-on-year. Vietnam reported FDI disbursement of $19.1 billion last year, up 9.1 percent.